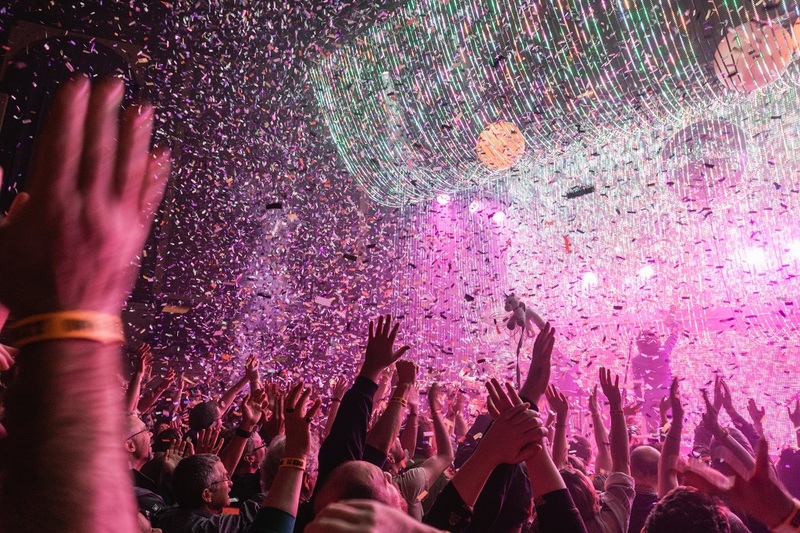 Over the course of my life, I have been to a lot of concerts and shows up and down the east coast, and I think I can safely say that The Flaming Lips show at The National this past Saturday is the greatest thing I have ever had the privilege of witnessing and being a part of. Imagine if you will for a moment that Sesame Street and The Mighty Boosh got together and wondered what it would be like to have a jam band together, and maybe invite Miley Cyrus for a song if she isn’t busy one Sunday afternoon after brunch. If you do, you’ll have a small snippet of what it’s like to go to a Flaming Lips concert. Usually it is an understood safe bet that the opening band is going to be okay at best, or really terrible. They are just there to get the crowd warmed up, provide a little bumper for someone running late or still finding parking, or maybe have a quick bathroom break. This wasn’t the case with opening band, Chappo. Chappo could not have been a better fit to open up the show. 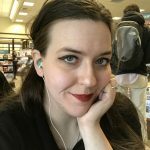 They are what I imagine The Flaming Lips were like when they initially formed the band, and still young and green and figuring out who they were as a band, oiling the kinks out of everything. Lead Singer Alex Chappo matches and races toward Flaming Lips frontman Wayne Coyne’s energy and intensity with the fervor of an eager padawan to a seasoned Jedi knight. Much like sand at the beach, I am still picking confetti pieces out of my bag and my jacket three days later. As always, a Flaming Lips show can’t just be musically fantastic, but also has to be visually impressive. Not only did the show open with confetti raining from the ceiling of The National, we were then led to help Yoshimi battle the pink robots, as Coyne sang “Yoshimi Battles the Pink Robots” from between the legs of a massive oversized inflatable pink robot. If riding a unicorn around through the crowds of The National wasn’t enough, the band made sure to also pay homage to Ziggy Stardust himself, David Bowie, by covering “Space Oddity” as Coyne walked into the crowd in a bubble. The audience was brought into a loud intimacy as “How? 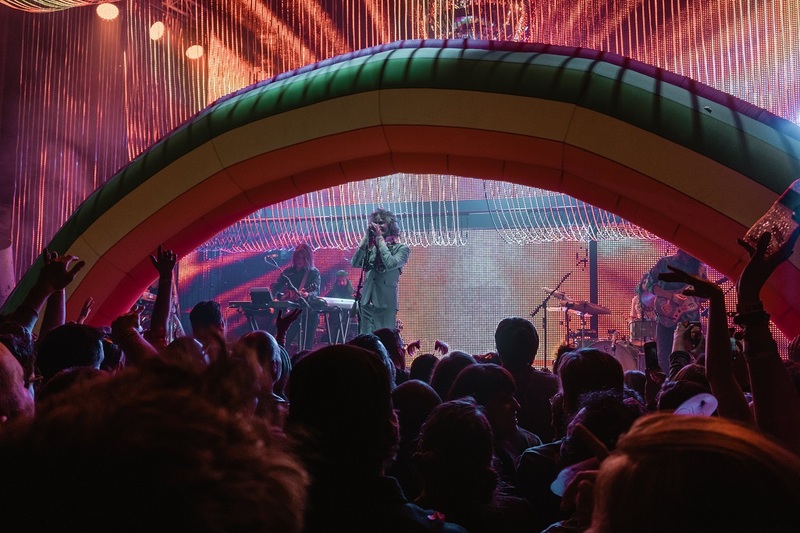 ?” was played, from the new album, Oczy Mlody, before finally the show was concluded with the band playing “Do You Realize?” from underneath an inflatable rainbow. 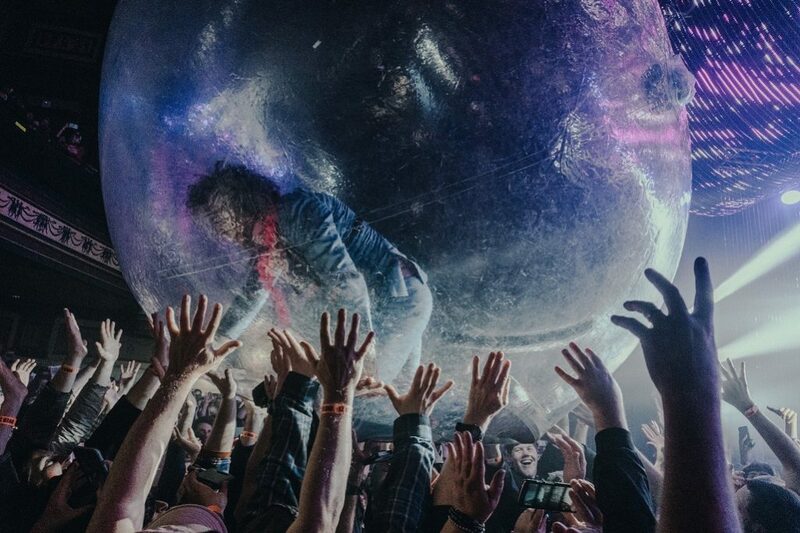 To say that The Flaming Lips are putting on one of the best concerts you can see right now is a massive understatement. When you go to a Flaming Lips show you get amazing music, yes, but also the theatrics of a show worthy of happening in Vegas two or three nights a week. It is difficult to leave the bright, happy visuals and upbeat lyrics about love, life, and death without a smile plastered from ear to ear. You will be exhausted, because it is one massive party, but you will regret absolutely nothing. 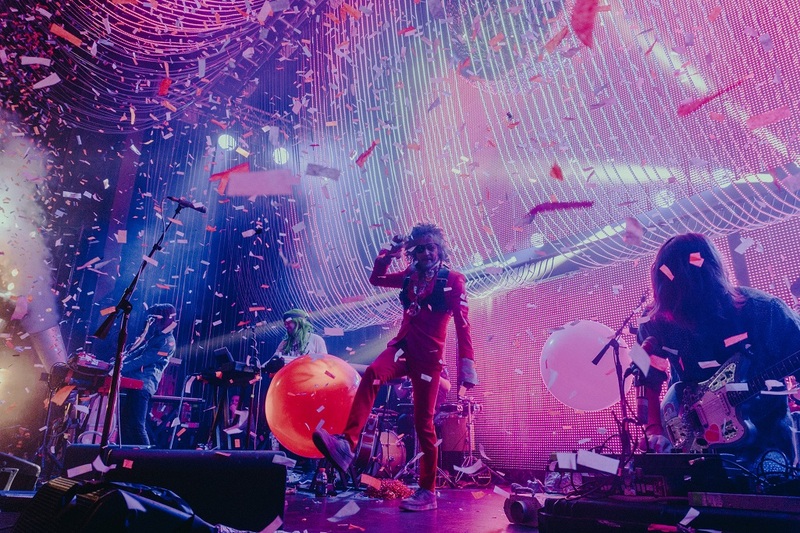 The Flaming Lips’ “There Should be Unicorns” Tour continues in the United States through June, with their next stop on May 6th in Memphis, TN at the Beale Street Music Festival.